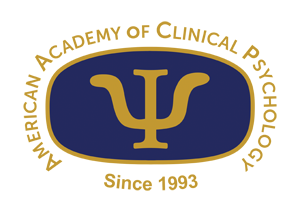 Psychologists who are Board Certified through the American Board of Professional Psychology and/or a Fellow of the American Psychological Association are encouraged to apply as a Fellow of the Academy. The annual dues for Academy membership are $50.00 (Fellow and Member) and $15.00 (Student). These dues payments cover the costs for advocacy, marketing, board meetings and workshops. Immediate member benefits include listing in the website's membership list and receipt of the Academy Bulletin. The Board has every intention of keeping dues low and operating costs to a minimum. Member - $50.00 (USD) Subscription period: 1 year, on: January 1st No automatically recurring payments A Board Certified Clinical Psychologist who applies for membership in the Academy and thus pays dues. Fellow - $50.00 (USD) Subscription period: 1 year, on: January 1st No automatically recurring payments A Member of the Academy in good standing for two consecutive years, who has demonstrated special achievement, leadership, or practice in the area of clinical psychology - and who has applied for FELLOW Status and been recommended by the Fellows Committee and elected by the Board of Directors. The basic requirement will be two consecutive years as a Member in good-standing of the Academy. Individuals in administration, hospitals, education, and independent practice (all settings) have opportunities to demonstrate special achievements in a variety of ways (e.g., conduct Clinical examinations for ABPP, serve professional associations as committee member, Chair, officer, etc., professional publications, serve as an AACP Mentor, Grant author, awards for scholarly or practice contributions, etc.). Emeritus Fellow - $25.00 (USD) Subscription period: 1 year, on: January 1st No automatically recurring payments A retired FELLOW of the Academy with five years consecutive membership in the Academy who no longer derives income from working as a psychologist.